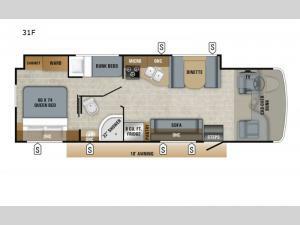 Don't miss out on a camping trip of a lifetime with this Jayco Redhawk 31F motorhome! 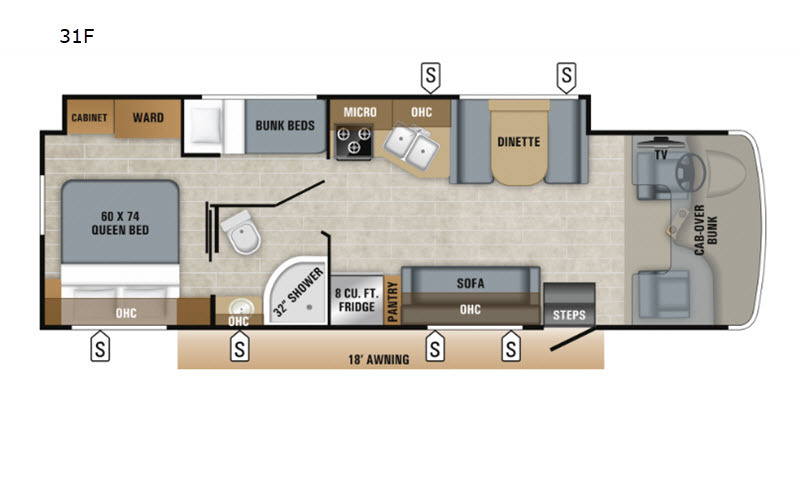 Your kiddos are sure to love sleeping in the bunk beds, plus there is an additional bunk over the cab for an added guest. You are sure to love having your own rear private bedroom with a queen bed for you to enjoy a good night's rest, along with a wardrobe for you to hang your clothes. Plus there is even an entrance into the dual entry bath. Inside the dual entry bath, there is a 32" radius shower to give you added floor space and an overhead cabinet for you to keep your essentials handy and tidy. When you're ready to wind down the night, head to the pantry, grab your favorite snack, and relax on the sofa. You can also enjoy yourself by watching your favorite movie on the 32" LED HDTV!